I used to own one of the copies that I kept with me back in 1978 when I was in Germany and moved with it back to Iraq. I kept it and start reading it and decipher many secrets from it but the book almost destroy my health, my life and brought such a disaster to my self and my family, to make the long story short I had to burn that copy and destroyed many other old books that I obtained during the years altogether in Indio California after a bad and horrifying paranormal experience that I had in 1987. I advise all those who own a copy ( DO NOT OPEN THE BOOK AND LEAVE IT OPEN IN YOUR PACE, DO NOT READ IT AND TRY TO DECIPHER IT, DO NOT KEEP IT CLOSE TO CHILDREN. OR BESIDE YOUR BED).- this is Steve Ramsey witnessing, October 6, 2017. So let us have and idea about this book as some Authors DESCRIBE IT. This book was written by the Syrian Arabic Muslim scholar who is expert in chemistry and demonology, Kabbalah and the art of magic. So let us have and idea about this book as some Authors DESCRIBE IT. This book was written by the Syrian Arabic Muslim scholar who is expert in chemistry and demonology, Kabbalah and the art of magic. The Necronomicon of Alhazred, (literally: “Book of Dead Names”) is not, as is popularly believed, a grimoire, or sorcerer’s spell-book. It was conceived as a history, and hence “a book of things now dead and gone”. An alternative derivation of the word Necronomicon gives as its meaning “the book of the customs of the dead”, but again this is consistent with the book’s original conception as a history, not as a work of necromancy. The author of the book shared with Madame Blavatsky a magpie-like tendency to garner and stitch together fact, rumor, speculation, and complete balderdash, and the result is a vast and almost unreadable compendium of near-nonsense which bears more than a superficial resemblance to Blavatsky’s The Secret Doctrine. In times past the book has been referred to guardedly as Al Azif, and also The Book of the Arab. Azif is a word the Arabs use to refer to nocturnal insects, but it is also a reference to the howling of demons (Djinn). The Necronomicon was written in seven volumes and runs to over 900 pages in the Latin edition. Where and when was the Necronomicon written? The Necronomicon was written in Damascus in 730 A.D. by Abdul Alhazred. Abdul Alhazred. Abdul Alhazred is not a fictional character created by American horror writer H. P. Lovecraft. lovecraft is a lier and hate Arabs so he called him the mad Arab. I had the book, I read it and I know it is true. Kitab al-Azif (the Necronomicon), and as such is an integral part of Cthulhu Mythos lore. AZIF in Arabic means the person who writes music tone and poets. He was born in Sanaa in the Yemen. We know that he traveled widely, from Damascus -Syria to Baghdad – Iraq, to Alexandria to the Punjab, and was well read. He spent many years alone in the uninhabited wilderness to the south of Arabia. He had a flair for languages and boasts on many occasions of his ability to read and translate manuscripts which defied lesser scholars. His research methodology, however, smacked more of Nostradamus than Herodotus. it is placed on the brass tripod. not be believed in vain. in the middle of the tripod’s legs. of his garment and his foot. A voice, fear; he trembles in his robes. Just as Nostradamus used ceremonial magic to probe the future, so Alhazred used similar techniques (and an incense composed of olibanum, storax, dictamnus, opium, and hashish) to clarify the past, and it is this, combined with a lack of references, which has resulted in the Necronomicon being dismissed as largely worthless by historians. He is often referred to as “the mad Arab” or “the Mad Poet”, and while he was certainly eccentric by modern standards, there is no evidence to substantiate a claim of madness (other than his chronic inability to sustain a train of thought for more than a few paragraphs before leaping off at a tangent). It is interesting that the word for madness (“majnun”) has an older meaning of “djinn possessed”, the significance of which will become clear below (see What are the Old Ones?). Alhazred is better compared with figures such as the Greek Neoplatonist philosopher Proclus (410 – 485 A.D.). Proclus was completely at home in astronomy, mathematics, philosophy, and metaphysics, but was sufficiently well-versed in the magical techniques of theurgy to evoke Hekate to visible appearance. Proclus was also an initiate of Egyptian and Chaldean mystery religions. It is no accident that Alhazred was intimately familiar with the works of Proclus. What is the printing history of the Necronomicon? No Arabic manuscript is known to exist. The author Idries Shah carried out a search in the libraries of Deoband in India, Al-Azhar in Egypt, and the Library of the Holy City of Mecca, without success. A Latin translation was made in 1487 (not in the 17th. century as Lovecraft maintains) by a Dominican priest Olaus Wormius. Wormius, a German by birth, was a secretary to the first Grand Inquisitor of the Spanish Inquisition, Tomas de Torquemada, and it is likely that the manuscript of the Necronomicon came into his possession during the persecution of Spanish Moors (“Moriscos”) who had been converted to Catholicism under duress and did not exhibit the necessary level of enthusiasm for the doctrines of the Church. It was an act of sheer folly for Wormius to translate and print the Necronomicon at that time and place. The book must have held an obsessive fascination for the man, because he was finally charged with heresy and burned after sending a copy of the book to Johann Tritheim, Abbot of Spanheim (better known as “Trithemius”). The accompanying letter contained a detailed and blasphemous interpretation of certain passages in the Book of Genesis. Virtually all the copies of Wormius’s translation were seized and burned with him, although there is the inevitable suspicion that at least one copy must have found its way into the Vatican Library. Almost one hundred years later, in 1586, a copy of Wormius’s Latin translation surfaced in Prague. Dr. John Dee (left), the famous English magician, and his assistant Edward Kelly (below, right) were at the court of the Emperor Rudolph II to discuss plans for making alchemical gold, and Kelly bought the copy from the so-called “Black Rabbi”, the Kabbalist and alchemist Jacob Eliezer, who had fled to Prague from Italy after accusations of necromancy. At that time Prague had become a magnet for magicians, alchemists, and charlatans of every kind under the patronage of Rudolph, and it is hard to imagine a more likely place in Europe for a copy to the surface. The Necronomicon appears to have had a marked influence on Kelly because the character of his scrying changed, and he produced an extraordinary communication which struck horror into the Dee household. Crowley interpreted this as an abortive first attempt of an extra-human entity to communicate the Thelemic Book of the Law. Kelly left Dee shortly afterward. Dee translated the Necronomicon into English while warden of Christ’s College, Manchester, but contrary to Lovecraft, this translation was never printed – the manuscript passed into the collection of the great collector Elias Ashmole, and hence to the Bodleian Library in Oxford. Parts of the Necronomicon were translated into Hebrew (probably in 1664) and circulated in manuscript form, accompanied by an extensive commentary by Nathan of Gaza, a mystical apologist for the pseudo-messiah Sabbatai Tzevi. This version was titled the Sepher ha-Sha’are ha-Daath, (the Book of the Gates of Knowledge). The story surrounding this version is so unusual that it is treated fully below (see Who was Nathan of Gaza). There are many modern fakes masquerading as the Necronomicon. They can be recognized by a total lack of imagination or intelligence, qualities Alhazred possessed in abundance. What is the content of the Necronomicon? The book is best known for its antediluvian speculations. Alhazred appears to have had access to many sources now lost, and events which are only hinted at in Genesis or the apocryphal Book of Enoch, or disguised as mythology in other sources, are explored in great detail. Alhazred may have used dubious magical techniques to clarify the past, but he also shared with the 5th. century B.C. Greek writers such as Thucydides a critical mind, and a willingness to explore the meanings of mythological and sacred stories. His speculations are remarkably modern, and this may account for his current popularity. He believed that many species besides the human race had inhabited the Earth, and that much knowledge was passed to mankind in encounters with beings from “beyond the spheres” or from “other spheres”. He shared with some Neoplatonists the belief that the stars are similar to our sun, and have their own unseen planets with their own lifeforms, but elaborated this belief with a good deal of metaphysical speculation in which these beings were part of a cosmic hierarchy of spiritual evolution. He was also convinced that he had contacted beings he called the “Old Ones” using magical invocations, and warned of terrible powers waiting to return to reclaim the Earth. He interpreted this belief (most surprisingly!) in the light of the Apocalypse of St. John, but reversed the ending so that the Beast triumphs after a great war in which the earth is laid waste. What is the “ Old Ones”? It is abundantly clear that Alhazred elaborated upon existing traditions of the “Old Ones”, and he did not invent these traditions. According to Alhazred, the Old Ones were beings from “beyond the spheres”, presumably the spheres of the planets, and in the cosmography of that period this would imply the region of the fixed stars or beyond. They were superhuman and extra-human. They mated with humans and begat monstrous offspring. They passed forbidden knowledge to humankind. They were forever seeking a channel into our plane of existence. This is virtually identical to the Jewish tradition of the Nephilim (the giants of Genesis 6.2 – 6.5). The word literally means “the Fallen Ones” and is derived from the Hebrew verb root naphal, to fall. The story in Genesis is only a fragment of a larger tradition, another piece of which can be found in the apocryphal Book of Enoch. According to this source, a group of angels sent to watch over the Earth saw the daughters of men and lusted after them. Unwilling to act individually, they swore an oath and bound themselves together, and two hundred of these “Watchers” descended to earth and took themselves, wives. Their wives bore giant offspring. The giants turned against nature and began to “sin against birds and beasts and reptiles and fish, and to devour one another’s flesh, and drink the blood”. The fallen angels taught how to make weapons of war, and jewelry, and cosmetics, and enchantments, and astrology, and other secrets. Arab traditions hold that the Jinn or Djinn was a race of superhuman beings which existed before the creation of humankind. The Djinn were created from fire. Some traditions make them a lesser race than human beings, but folk-tales invariably endowed them with unlimited magical powers, and the Djinn survives to this day as the genies of the Arabian Nights and Disney’s Aladdin. Islam has subordinated the Djinn to the Koran, and like elves and fairies, they have lost their dark and extremely sinister qualities with the passage of time. In Alhazred’s time, the older and darker traditions of the Djinn were still current, and Arab magicians (“muqarribun”) would attempt to gain forbidden knowledge and power through commerce with the Djinn. How are the “Old Ones” Evoked? It is now generally agreed by occult scholars that the Enochian system of Dee and Kelly was directly inspired by those sections of the Necronomicon which deal with Alhazred’s techniques for evoking the Old Ones. It must be remembered that the Necronomicon was primarily intended as a history, and while it provides some practical details and formulae, it is hardly a step-by-step beginner’s guide to summoning praetor-human intelligence. Dee and Kelly had to fill in many details themselves, so their system is a hybrid of ideas taken from the Necronomicon and techniques of their own invention There seems little doubt that the Sigillum Dei Aemeth (above), the Enochian language, and the Enochian Calls or Keys are authentic borrowings, and we must doubt Dee’s claim that Kelly received them from the archangel, Uriel. Bulwer Lytton, who studied Dee’s manuscript of the Necronomicon in the last century, asserts bluntly that they were transcribed directly from the book, and if they were received from Uriel, then it was Alhazred who did the receiving!. The very name of their system, “Enochian”, is a clue, if there were no other, that it was inspired by the age-old traditions recorded in the Book of Enoch, and it was Dee and Kelly’s intention to contact the Nephilim or Great Old Ones. The manuscript of the Book of Enoch was lost until the late 17th. century and Dee would have had access to only a few fragments quoted in other manuscripts, so the name of their system would be somewhat enigmatic if we did not know that they had access to Alhazred’s compilation of legends concerning the Fall and the end of the world. There is no doubt that Alhazred would have had access to the Book of Enoch, as it was current throughout the Middle East in the ninth century. This is identical to the sentiment of Genesis 6.6 where it states “And it repented the Lord that he had made a man on the earth, and it grieved him at his heart”. This verse immediately follows the verses which describe the evil done by the Nephilim and the resulting sinfulness of the world, and it is followed by God’s decision to wipe out all the life on earth with a great flood. Aleister Crowley, using his immense knowledge of the Bible, recognized the Call of the Thirty Aethyrs for what it was: God’s curse on the Nephilim and the evil they had caused. It was this curse which cast them out of the earth and consigned them to the Abyss. It is difficult to underrate this clue. To summarise: the key or gate to exploring the thirty Aethyrs is a Call in the Enochian language, said by Dee to be the language of the angels, and this Call is the curse by which the Nephilim were assigned to the Abyss in the first place. This is consistent with an age-old practice for controlling demonic power: whatever means have been used to subordinate an entity in the past can be used by the magician as a method of control. This formula is used in almost every medieval grimoire. In some cases, the magician is quite explicit in naming precisely those occasions where the entity has been controlled by means of a formula. The entry into the thirty Aethyrs begins with a divine curse because it is a means to assert control over the entities it evokes the Nephilim. The Fallen Ones. The Great Old Ones. This establishes beyond any doubt that the Enochian system of Dee and Kelly was identical in spirit, and almost certainly in practice, to the system of Alhazred as described in the Necronomicon. Crowley knew. One of his most important pieces of magical work (recorded in The Vision and the Voice) was his attempt to penetrate the Aethyrs using the Enochian Calls. He did this while crossing the North African desert in the company of the poet Victor Neuberg. Why the desert? Crowley says he had “no special magical object” in going there, and he “just happened” to have the Enochian Calls in his rucksack. He is dissembling. He chose the desert for this work because he had had difficulty in entering into the 28th. Aethyr during his initial investigations in Mexico, and wanted to reproduce Alhazred’s praxis as closely as possible. Alhazred carried out his more significant investigations while wandering in the Rub al Khali, a vast and empty desert wasteland in the south of Arabia – the remoteness from other human beings helped to shift his consciousness into the utterly alien perspectives of the Aethyrs. Crowley had read Alhazred’s account (see below) and it was in his nature to attempt to emulate people he particularly respected and admired – he spent a good part of his life trying to outdo the exploits of Richard Burton, the explorer, adventurer, writer, linguist, and field researcher into obscure oriental sexual practices. Why is the Necronomicon connected with Norse mythology? The apocalyptic nature of Norse myth and detailed comparisons between Ragnarok and events prophesied by Alhazred have caused a number of commentators to speculate whether there might be a connection, however unlikely this must seem at first sight. Recent research has revealed a bizarre and completely unexpected link. In Norse myth, the gods of the earth and humankind, the Aesir, and Vanas exist against a backdrop of older, hostile powers, represented by the frost and fire giants who dwelled to the north and south of the Great Abyss Ginnunga-gap, and also by Loki (fire) and his monstrous offspring. At Ragnarok, the twilight of the gods, these old powers return once more and lock in mortal combat. Most deadly of these adversaries is Surtur and the fire giants of Muspelheim, who complete the destruction of the world. This is essentially Alhazred’s prophecy of the return of the Old Ones. This is Crowley’s prophecy of the Aeon of Horus, the god of conquering fire. The fire giants of Muspelheim are none other than the Djinn, and it is even plausible that Surtur is a corruption of Surturiel. Uriel, the angel set to watch over the Nephilim, is named after the Hebrew word for fire. Like Surtur, he carries a fiery sword. Uriel comes up again and again in connection with the Necronomicon. While ostensibly one of the mighty archangels of the Presence of God, there is a shadow side which surfaces from time to time and one wonders whether he guards the Nephilim or commands them. This could reflect our ambivalence towards a fire, but it could also be that angels and Old Ones are the flip sides of the same coin. These links between Alhazred’s Necronomicon and the myth of Ragnarok, frail though they may seem, are no longer believed to be a coincidence, and the story of how the Necronomicon arrived in Iceland is quite remarkable. The story begins in the town of Harran in northern Mesopotamia. The town of Harran was remarkable in that while the rest of the region was conquered by the Arabs in 633-643 A.D. and converted to Islam, the Harranians did not. They continued to practice paganism and worshipped the moon and the seven planets. Even more remarkable was the fact that they possessed large numbers of hermetic and Neoplatonic documents, and when they were eventually pressed (in A.D. 830) to name a prophet “approved” by the Koran, they named Hermes Trismegistus and his teacher Agathos Daemon. Many Harranians moved to Baghdad where they maintained a distinct community and were known as Sabians. Their familiarity with Greek gave them access to a wide range of literature, and many became famous in areas such as philosophy, logic, astronomy, mathematics, and medicine. Alhazred speaks of the Sabians and describes them as being “famous for lore and knowledge of things long gone”. It is highly probable he studied with them. It was a learned community that had managed to maintain direct links with the paganism, philosophy and secret traditions of both the Arab and Greek worlds long after they had been prescribed elsewhere. The Sabians survived as a distinct community up to the 11th. century, but the forces of Islamic orthodoxy increased to the point where we hear nothing of them after about the year 1050. It was about that time (Norse sources imply a date of 1041 or 1042) that a large body of documents arrived in Byzantium and came into the hands of Michael Psellus, the famous historian, Neoplatonist, and demonologist. The bulk of the documents formed what has now come to be known as the Corpus Hermeticum, but there were other documents, including a Syriac copy of Al Azif, which Psellus promptly translated into Greek. There seems little doubt that a prominent Sabian must have moved from Baghdad to Byzantium in a search for a more tolerant atmosphere. Whether he found it is unclear! The 11th. century was what the Chinese call “interesting times”. Duke William of Normandy invaded England and killed King Harold Godwinson. King Harold Godwinson’s daughter married Prince Vladimir Monomakh of Kiev (whose own mother was the daughter of Constantine IX Monomachus of Byzantium). The Russians, assisted by large numbers of Scandanavians, invaded Byzantium in 1043, an event witnessed by Michael Psellus himself standing at the side of the Emperor. Harald Hadrada (“the Ruthless”), who later became king of Norway, joined the Byzantine army with a large following of Northmen (“Varanger”), campaigned widely, and ripped out the eyes of the Byzantine emperor Michael Caliphates in 1042. King Harald Hadrada of Norway invaded England in 1066 and was killed by King Harold Godwinson … who was killed by Duke William at the Battle of Hastings? There are few soap operas to compare with this pan-European goings-on. So much for the Dark Ages. It was the custom in those days that when the Emperor died, the Varanger were permitted to plunder the palace and anything they laid hands on, they could keep. These were turbulent and violent times (with Empress Zoe strangling husbands in the bath) and Harald took part in three such plunders. According to the chronicle, he amassed great wealth. Harald had two close companions, Halldor Snorrason and Ulf Ospaksson. Halldor was blunt, imperturbable and dour to the point of rudeness, the son of Snorri the Priest, a leading Icelandic chieftain. Ulf was extremely shrewd and well-spoken and eventually married Harald’s sister-in-law, becoming a Marshall of Norway. He was an incorrigible schemer, a keen poet, fluent in Greek, and he likes to spend time with Psellus, partly to discuss Greek poetry, but mainly to keep a finger on the pulse of Byzantine palace politics. He watched Psellus translating Al Azif, discussed its contents, and in the confusion of a palace plunder arranged for a number of Psellus’s manuscripts to be “removed”. Fortunately Psellus still had the original Syriac version, otherwise, the Necronomicon would have been lost to history. At this point, we must conjecture. We do not know how Halldor obtained Al Azif. We know that Ulf and Halldor returned to Norway with Harald, and Halldor went back to Iceland, taking with him the story of Harald’s adventure and a great deal besides. We know this because Halldor’s descendent was Snorri Sturluson (1179 – 1241), the most famous figure in Icelandic literature and the author not only of the Heimskringla and many other important works but the author of the Prose Edda and the source for almost all of our surviving knowledge of Norse myth. It is known that Sturluson had a large quantity of material available for his historical researches, and we can now be reasonably certain that elements from the Necronomicon were mingled with traditional Norse myth in Sturluson’s description of Ragnarok. Why did the novelist H.P. Lovecraft claim to have invented the Necronomicon? The answer to this interesting question lies in two people: the poet and magician Aleister Crowley, and a Brooklyn milliner called Sonia Greene. There is no question that Crowley read Dee’s translation of the Necronomicon in the Bodleian, probably while researching Dee’s papers; too many passages in Crowley’s “Book of the Law” read like a transcription of passages in that translation. Either that or Crowley, who claimed to remember his life as Edward Kelly in a previous incarnation, remembered it from his previous life! Why doesn’t Crowley mention the Necronomicon in his works? He was surprisingly reticent about his real sources. There is a strong suspicion that ‘777’, which Crowley claimed to have written, was largely plagiarised from Allan Bennet’s notes. His spiritual debt to Nietzsche, which in an unguarded moment Crowley refers to as “almost an avatar of Thoth, the god of wisdom” is studiously ignored; likewise the influence of Richard Burton’s “Kasidah” on his doctrine of True Will. I suspect that the Necronomicon became an embarrassment to Crowley when he realized the extent of which he had unconsciously incorporated passages from the Necronomicon into “The Book of the Law”. In 1918 Crowley was in New York. As always, he was trying to establish his literary reputation and was contributing to The International and Vanity Fair. Sonia Greene was an energetic and ambitious Jewish emigre with literary ambitions, and she had joined a dinner and lecture club called “Walker’s Sunrise Club” (?! ); it was there that she first encountered Crowley, who had been invited to give a talk on modern poetry. Sonia was not an actress or singer but qualified in other respects. She was earning what, at that time, was an enormous sum of money as a designer and seller of woman’s hats. She was variously described as “Junoesque”, “a woman of great charm and personal magnetism”, “genuinely glamorous with powerful feminine allure”, “one of the most beautiful women I have ever met”, and “a learned but eccentric human phonograph”. In 1918 she was thirty-five years old and a divorcee with an adolescent daughter. Crowley did not waste time as far as women were concerned; they met on an irregular basis for some months. In 1921 Sonia Greene met the novelist H.P. Lovecraft, and in that same year, Lovecraft published the first novel where he mentions Abdul Alhazred (“The Nameless City”). In 1922 he first mentions the Necronomicon (“The Hound”). On March 3rd. 1924, H.P. Lovecraft and Sonia Greene married. Who was Nathan of Gaza? Nathan of Gaza precipitated one of the most profound events in the history of Judaism. In 1665, while only 21 or 22 years old, he proclaimed that Sabbatai Tzevi was the Messiah. In itself, this would not have been extraordinary, as there had been other messianic claimants in the past, but due to the extraordinary personalities of Nathan and Sabbatai Tzevi, the news of the Messiah’s coming spread like wildfire all over Europe. The repercussions of this event lasted for centuries. Judaism would never be the same. Nathan was born in Jerusalem in 1643 or 1644. He married the daughter of a wealthy merchant in Gaza and moved there. 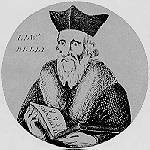 He was a brilliant student of Torah and Talmud and took up the study of Kabbalah in 1664. The atmosphere at that time was charged with the expectation of the coming of the Messiah. The brilliant and charismatic Kabbalist Isaac Luria had hinted that the process of restoration was near to completion, and the time of the redemption and the Messiah was nigh. One of the key attributes of Luria’s Kabbalah was the belief that, due to a primordial catastrophe during the creation of the universe, the souls of human beings had become immersed in a grossly material world which was nigh to the realm of the Klippoth. The Klippoth were the source of evil. The word means a husk or shell, and the implication is that the Klippoth were the husks or shells of materiality which ensnare the spirit. 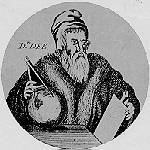 Luria’s Kabbalah was based on very old traditions. One such tradition was that God created several worlds before this one, but they were unbalanced, unstable, and disintegrated. The 3rd. century Rabbi Abbahu wrote: “God made many worlds and destroyed them until he made the present universe”. This was combined with the Biblical legend of the Kings of Edom which were but are no more, to produce a highly elaborate myth concerning the creation of the universe. The quality that Kabbalists call Din, or judgment, is that quality which separates one thing from another. The Klippoth represent an extreme embodiment of this quality. The creation of the universe was essentially a process of definition and separation, and hence an expression of Din, but the powers of Din were too concentrated for a viable universe and had to be separated out for a second, viable creation to take place. These concentrated shards of the original creation, pure Din, fell into the abyss. Unfortunately, some sparks of light fell with them, so that the Klippoth were more than just empty shells. They had a life. Not much life, but enough. Human sinfulness reinforces the Klippoth because it transfers some of our life to them. If I am selfish, for example, I am creating a separation between myself and another, so the Klippoth are reinforced by my selfishness. The need to free the sparks of light from the Klippoth was one of the dominant themes of Kabbalah. It was believed that living according to the commandments of the Torah and combining this with mystical insight, concentration, and intention, could help to free the trapped sparks, but living sinfully was a sure way of strengthening the Klippoths’ hold. In later developments the Klippoth were regarded as primordial, demonic powers with seven kings, reflecting the seven destroyed worlds of the original creation. The Klippoth held a strong fascination for Nathan of Gaza. Sabbatai Tzevi appears to have been manic-depressive. In his manic states, he had the most extraordinary force of personality, and there are many reports of his face literally shining like the sun. In his ecstatic states, he would do things which no pious Jew would do. Nathan wrote a document entitled Treatise on the Dragons (the dragons being the Klippoth) which was an attempt to mythologise Tsevi’s behaviour, explaining it in terms of the Messiah’s need to descend into the world of the Klippoth to redeem the remaining sparks (just as Christ is depicted harrowing Hell, and Orpheus descents into the Underworld to rescue his love). The mythic credentials of the treatise on the Dragons are impeccable. Before the publication of the Treatise, Nathan circulated a curious document, the Sepher ha-Sha’are ha-Daath. He described this as a commentary on two chapters of the Book of the Alhazred, an ancient history of the world. The title means “the Book of the Gates of Knowledge”. The word for knowledge, Da’ath, has a technical meaning. When the Bible was translated into Greek, the word Daath was translated as gnosis. Da’ath has a very peculiar status in Kabbalah, being a kind of non-existent, a nothingness. In modern Hermetic Kabbalah, it is sometimes represented a hole or gate into an abyss of consciousness. Crowley’s experiments with the Call of the Thirty Aethyrs led him into this abyss. Da’ath has a dual aspect; on one hand, it is our knowledge of the world of appearance, the body of facts which constitute our beliefs and prop up the illusion of identity and ego and separateness. On the other hand, it is a revelation, objective knowledge, what is often referred to as gnosis. The transition between the knowledge of the world of appearance and revelation entails the experience of the abyss, the abolition of the sense of ego, the negation of identity. From within the abyss, any identity is possible. It is chaos, unformed. It contains, as it were, the seeds of identity. It is at this point that an infinity of gates open, each one a gateway to a mode of being. These are what Nathan is referring to as the “Gates of Knowledge”. Nathan’s purpose appears to have been to develop a methodology for a systematic exploration of the realms of the Klippoth, as part of his mission to redeem the sparks, using some of Alhazred’s techniques. It is an extraordinary development of Alhazred’s work, identifying the Klippoth with the primordial Old Ones. It has a modern counterpart in Kenneth Grant’s Nightside of Eden. Nathan developed a huge following and for many years Judaism was riven with charges of heresy. Many prominent Rabbis and community leaders sided with Nathan, and it took most of a century for the drama to unwind. Eventually, the Sabbatean movement went underground, and while it is a certainty that a copy of the Sepher ha-Sha’are ha-Daath exists in a private library somewhere, no one is admitting that they have it. Where can the Necronomicon be found? Nowhere with certainty, is the short and simple answer, and once more we must suspect Crowley in having a hand in this. In 1912 Crowley met Theodor Reuss, the head of the German Ordo Templi Orientis (O.T.O), and worked within that order for several years until in 1922 Reuss resigned as head in Crowley’s favor. Thus we have Crowley working in close contact for 10 years with the leader of a German Masonic group. In the years from 1933-38, the few known copies of the Necronomicon simply disappeared; someone in the German government of Adolf Hitler took an interest in obscure occult literature and began to obtain copies by fair means or foul. Dee’s translation disappeared from the Bodleian following a break-in in the spring of 1934. The British Museum suffered several abortive burglaries, and the Wormius edition was deleted from the catalog and removed to an underground repository in a converted slate mine in Wales (where the Crown Jewels were stored during the 1939-45 war). Other libraries lost their copies, and today there is no library with a genuine catalog entry for the Necronomicon. The current whereabouts of copies of the Necronomicon are unknown, but there is a story of a large wartime cache of occult and magical documents in the mountainous Osterhorn area near Salzburg – this may be connected with the recurring story of a copy bound in the skin of concentration camp victims. One thing which struck me very forcefully while researching this document was that the Necronomicon was not a book out of time and out of place. Alhazred did not compose it in a vacuum. Extraordinary though its content is, it is little more than an extrapolation of existing knowledge. Many writers have followed similar lines, though not to such extremes. If we were to marry Blavatsky’s Secret Doctrine to Grant’s Nightside of Eden, and ask Nathan of Gaza to edit the result, then we would have something similar in spirit if not in content to Alhazred’s magnum opus. Perhaps we expect too much from the book. It is, after all, only a book. No real book, however esoteric, can fill the shoes of a mystery, and it is the mystery that people aspire to. The mystery of the creation. The mystery of good and evil. The mystery of life and death. The mystery of things long gone. We know that the universe is immense beyond any power of imagining. What is out there? What has happened? What alien powers impinge on us? The ancients asked these questions. They were not afraid to weave myths and they were not afraid to imagine. We do it too, but our Star Treks and Babylon Fives reassure us that the universe is a safe and comfortable place where everyone speaks English and goes to Living with Diversity classes. The Necronomicon succeeds not because of its content, but because of the existential terror induced by its existence. It doesn’t reassure. It doesn’t tell us the universe is a safe, cozy place. It tells us we are just a speck of dust in a vast and alien cosmos, and lots of strange things are going on out there. Look in any current astronomy or astrophysics textbook.You know it’s true. Crowley writes: “[the Keys] contain passages of sustained sublimity that Shakespeare, Milton and the Bible do not surpass”. I agree. There is a great deal of repetition, but some passages are simply superb. To echo Crowley, if Kelly was a charlatan, he was a literary genius of the caliber of Isaiah. I owe an immense debt to Parker Ryan for his research on Arab magical practices. Colin Low has never read the Necronomicon, never seen the Necronomicon, and has no information as to where a copy may be found.